At S&A Homes, we don’t like to celebrate Earth Day just once a year. Instead, we look for every opportunity to promote sustainability and educate buyers about our energy efficient WV and PA new homes. From our collaboration with the Best Practices Research Alliance to construct the first net-zero energy Lab Home to building our E-Home for buyers just like you every day, we strive to do our part in promoting energy efficient construction and protecting the environment. Now, we are excited to announce that we received a 2012 ENERGY STAR Leadership in Housing Award for our hard work! Leigh McGraw inspects the construction of her State College new home. When buyers choose to build their PA new homes with us, we make sure that they know what’s happening in the construction process every step of the way. From our website that has information about getting started, customizations, what’s going on behind the walls of your new home and financing solutions to home walkthroughs with your project manager, you’ll know that your home is constructed efficiently and at the highest quality possible, giving you and your family peace of mind. Everywhere you look, you see information about how today’s housing market is a buyer’s market, but is it really a good time to buy PA new homes? Or, is it more cost effective to continue to rent and wait a bit longer? Well, according to Trulia’s Winter 2012 Renter vs. Buy Index, buying a home is now cheaper than renting! The report is based on asking prices for rental and homes that are for-sale on Trulia.com between Dec. 1, 2011 and Feb. 29, 2012. And, guess what folks? 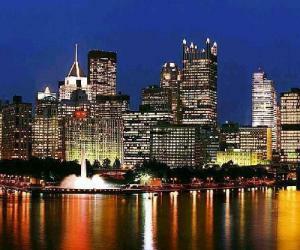 Among the cities on the list in which it is better to buy than to rent is Pittsburgh, PA! 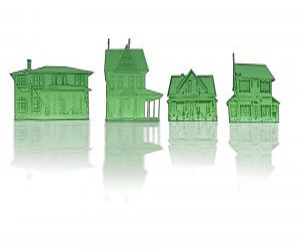 We have several communities that are perfect for those who are shopping around for Pittsburgh new homes. 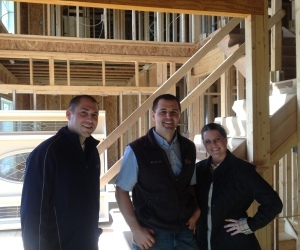 Here at S&A Homes, we pride ourselves in building quality WV and PA new homes for our buyers. We want to make sure that all of our buyers feel like they are taken care of. We work hard to provide individualized attention to each family during the home building process, and it warms our hearts to hear that our hard work is paying off. 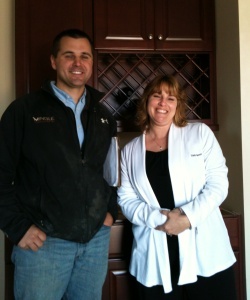 We recently heard some feedback from Mike and Malissa Martin from State College, PA about their experience building an S&A home. Below is what they have to say. 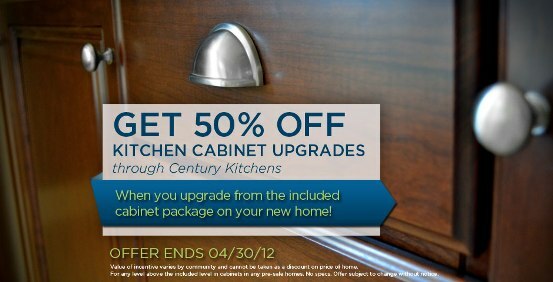 50 percent off upgraded cabinets on pre-sale WV and PA new homes. What do you think of when you picture the dream kitchen in your WV or PA new homes? Warm, rich, luxurious cabinets, right? The kind that take your breath away, that set the tone for the kitchen and make your friends and family envious? Gorgeous wood cabinets with a luxurious finish and of the highest quality and finest workmanship?